Guest Post: Immigration Experience in the U.S. Although our League of Librarians didn't win the second round, we did win the first! All in all, 1 to 1, ending with Team Teacher and League of Librarians tied with one win each for Summer Throwdown seems like a huge win for everyone. Today is the first of 4 guest posts from fellow librarians who participated in the fabulous Summer Throwdown. Our first librarian guest blogger is Natalie Dias Lorenzi. You may know her as @NatalieLorenzi on Twitter. When I first heard about Summer ThrowDown, my first thought was, “A reading competition! 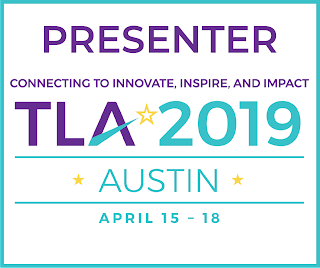 Bring it!” My second thought was, “Er...which team should I join—teachers or librarians?” I’m both—a part-time ESOL teacher and part-time librarian at an elementary school outside of Washington, DC. Since I’ll be finishing up my LMS coursework this year and will (hopefully!) become a full-time librarian next year, I decided to throw my hat into the League of Librarians’ ring. Since I work in a school with a high immigrant population (almost 90%), my Summer ThrowDown focus was on books that deal with the immigration experience in the US. Although I did manage to read books on other topics between July 22 and August 18, these were the five that featured protagonists who came to the US as immigrants. For each title, I’ve included the synopsis, author’s website if available, and links to discussion guides or other supplementary material. Viola remembers Juba: The fresh smell of dirt on the banks of the Nile. Her mother’s’fingers, twisting her hair into braids. And her grandmother’s stories of elephant songs. 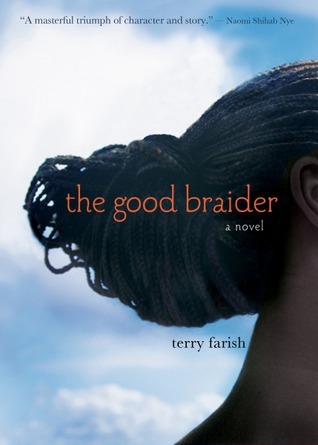 mother, who, like Viola,is struggling to braid together the strands of a displaced life. *The author notes on her site that a discussion guide is currently being developed for The Good Braider, but in the meantime, there are articles and posts up on the site that provide background information on Sudan and the Sudanese people. As the oldest of eight siblings, Lupita is used to taking the lead—and staying busy behind the scenes to help keep everyone together. But when she discovers Mami has been diagnosed with cancer, Lupita is terrified by the possibility of losing her mother, the anchor of her close-knit Mexican American family. Suddenly Lupita must face a whole new set of challenges, with new roles to play, and no one is handing her the script. In the midst of juggling life as a high school student, testing her wings as an actress, and dealing with friends who don’t always understand, Lupita desperately wants to support Mami in whatever way she can. While her father stays with Mami at an out-of-town clinic, Lupita takes charge of her siblings. As Lupita struggles to keep the family afloat, she escapes the chaos of home by writing in the shade of a mesquite tree. Overwhelmed by change and loss, she takes refuge in the healing power of words. Told with honest emotion in evocative free verse, Lupita’s journey is both heart-wrenching and hopeful. Under the Mesquite is an empowering story about the testing of family bonds, the strength of a young woman navigating pain and hardship with surprising resilience, and the kind of love that cannot be uprooted. The Serbs always made it plain they hated Albanians, but Meli could never have imagined anything so terrible: the entire Jashari family, seventy people, massacred by the Serbs. Now all Albanians in Kosovo are in danger. Meli and her family must leave their home and store, taking only a few possessions. The refugees have their courage and resilience tested at every turn as they travel through the mountains and towns in search of a safe haven. They go days without food and water; they walk dangerous roads at night and carry Granny in a wheelbarrow; they live in crowded tent cities; they are in constant fear for their lives. If it weren’t for Mama’s and Baba’s efforts to keep the family together, who knows what would happen to them. America is not so different from what we thought. I told you I wouldn't see a single cowboy riding across the plain, and I haven't. I have not even seen a plain. 1. Trapper and King, the cat and dog who live in the apartment building. They are cuddly and waggy. I am not allowed to play with them, though, because they are supposed to catch mice and keep burglars away. 2. Ironman. He owns a pig and talks to me a lot. But he is a grown-up. 3. Kids. I can hear them playing outside. Too bad they do not want to play with me. Do you wish I was in India? Fadi never imagined he’d start middle school in Fremont, California, thousands of miles away from home in Kabul. But, here he was, half a world apart from his missing six year old sister who’d been lost because of him, as they'd fled Afghanistan. Adjusting to life in the United States isn’t easy for Fadi’s family and as the events of September 11th unfold, the prospects of locating Mariam in a war torn Afghanistan seem slim -- impossible. Desperate, Fadi tries every hare-brained scheme he can think of to find her. When a photography competition with a grand prize trip to India is announced, Fadi sees his chance to return to Afghanistan and find his sister. But can one photo really bring Mariam home? Based in part on Ms. Senzai’s husband’s experience fleeing Soviet controlled Afghanistan in 1979, Shooting Kabul is a powerful story of hope, love, and perseverance. If you’re interested in more books on the immigration experience, visit my book review blog Biblio Links. I’ll be guest posting on the Nerdy Book Club blog on August 25 where I’ll list my top 10 middle grade book recommendations that reflect the immigrant experience in America. My debut middle grade novel Flying the Dragon, released last month from Charlesbridge, also features a main character who is a recent immigrant to the U.S. The End of Summer Throwdown...for now!